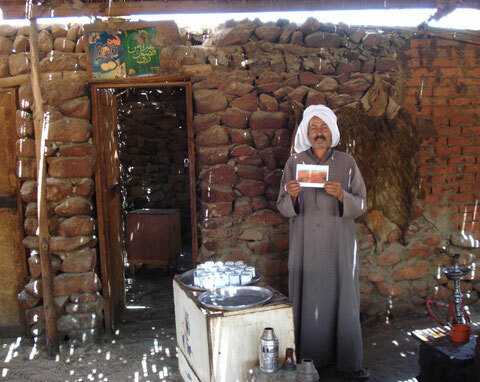 This picture was taken in the Arab desert, 50km from Hurghada, Egypt. Thanks to Markus for the wonderful picture! Hello! I understand this is sort of off-topic but I needed to ask. Does building a well-established blog such as yours take a lot of work? I am completely new to blogging however I do write in my diary daily. I'd like to start a blog so I can easily share my own experience and views online. Please let me know if you have any kind of recommendations or tips for brand new aspiring bloggers. Thankyou! Hi Dear, are you truly visiting this website on a regular basis, if so then you will without doubt obtain fastidious knowledge. Hmm it appears like your blog ate my first comment (it was super long) so I guess I'll just sum it up what I had written and say, I'm thoroughly enjoying your blog. I as well am an aspiring blog writer but I'm still new to the whole thing. Do you have any recommendations for newbie blog writers? I'd definitely appreciate it. hi!,I like your writing very a lot! share we be in contact more approximately your post on AOL? I need an expert in this space to unravel my problem. May be that is you! Looking ahead to peer you. Hi, I do think this is an excellent blog. I stumbledupon it ;) I may return yet again since i have bookmarked it. Money and freedom is the best way to change, may you be rich and continue to help other people. Hello there! Quick question that's totally off topic. Do you know how to make your site mobile friendly? My weblog looks weird when viewing from my iphone. I'm trying to find a theme or plugin that might be able to fix this issue. If you have any suggestions, please share. Cheers!